Located on S. Harrells Ferry Road just off Millerville Road in Baton Rouge. 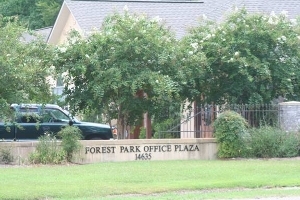 This 23-unit office park featuring 1,166 square foot and 2,332 square foot units is just one minute from I-12. The parking is spacious and the landscape is mature. This location is slated for 5-lane improvements under the Baton Rouge Green Light Plan and is one of the most accessible locations in the Baton Rouge MSA.